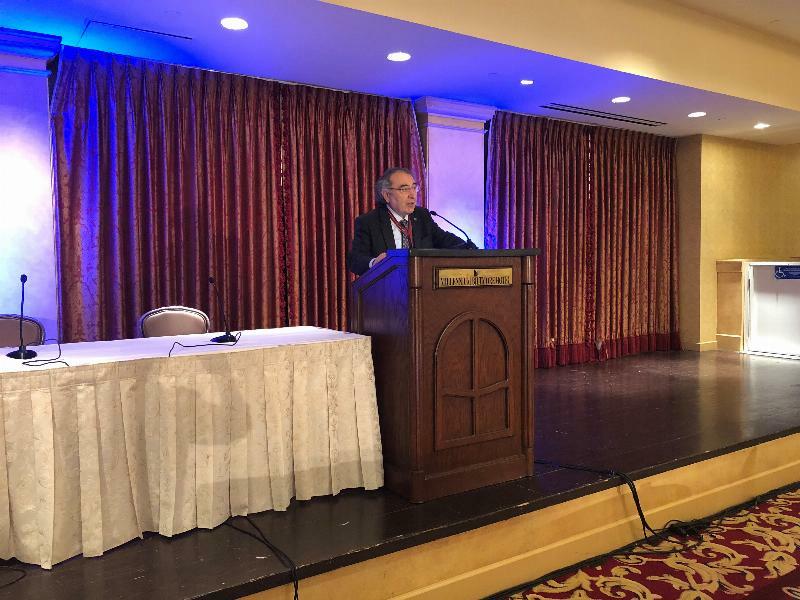 Üsküdar University attended the 15th Society for Brain Mapping & Therapeutics (SBMT) Congress led by Prof. Nevzat Tarhan, which was held in Los Angeles on 12-15 April. Prof. Tarhan and his team presented TMU practices and neuroscience studies under the heading of "Brain Mapping in Neuro-Psych-Behavior". Prof. Tarhan also met with Prof. Eric Richard Kandel who won Nobel of Physiology and Medicine Award. They have exchanged ideas on the Determination of Neuroscience Policies. Üsküdar University attended the 15th Society for Brain Mapping & Therapeutics (SBMT) Congress, held in Los Angeles on 12-15 April. Prof. Tarhan and his team presented TMS practices and neuroscience studies under the heading "Brain Mapping in Neuro-Psych-Behavior". Prof. Nevzat Tarhan gave presentation in TMU treatment and its application areas in common psychiatric diseases and effective treatment results and highlighted the effectiveness of non-invasive treatment, especially in depression. Üsküdar University Faculty Member Dr. Türker Erguzel who designed an artificial intelligence and neuroscience model that allows cognitive tasks to be categorized under the title and move the robot arm in 3D space with entropy index, mentioned Health Informatics and the vision of the future in the presentation. Üsküdar University researcher Bernis Sütçübaşı gave a presentation about virtual reality and future application areas and the near future applications of neuropsychiatric treatment applications and informed about current use of TMS in brain mapping. 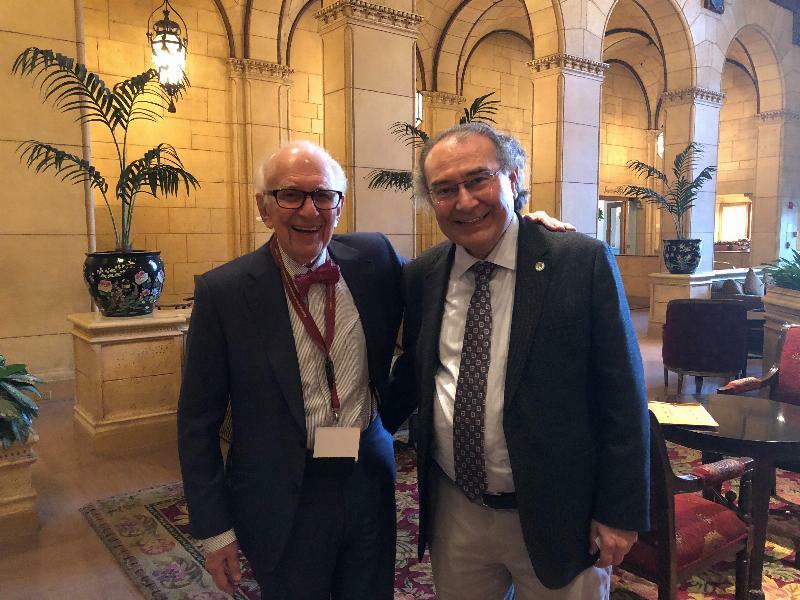 Prof. Eric Richard Kandel, Nobel of Physiology and Medicine Award winner met with Prof. Nevzat Tarhan and exchanged ideas on the Determination of Neuroscience Policies. Columbia University’s faculty member neuropsychiatrist Prof. Eric Richard Kandel won the Nobel of Physiology and Medicine Award in 2000, due to his studies in memory physiology between neurons. Eric Kandel who is the only neuropsychiatrist to win the Nobel of Physiology and Medicine Award, mentioned that he is curious of Üsküdar University’s studies. Prof. Kandel pointed out the importance of diagnosis and treatment processes in the context of neuroscience of substance use disorder, which will become even more important in the following years. In discussion about the future of neuroscience, Prof. Tarhan also shared information about the activities of the NPİSTANBUL Brain Hospital.